Manchester United must pay Monaco another £8.5m after Anthony Martial scored his 25th goal for the club. 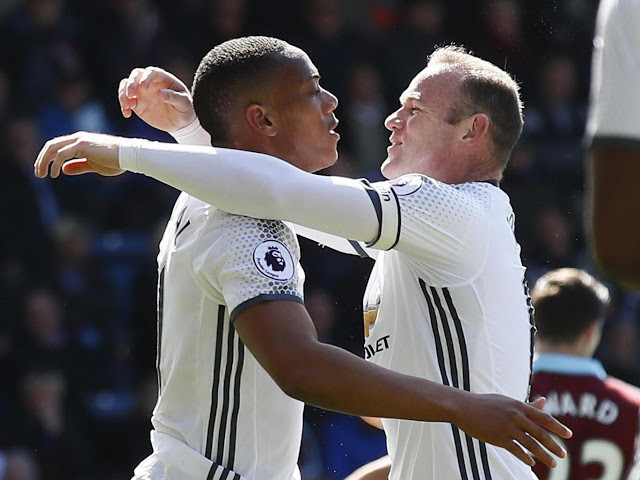 Martial has had a poor season this term, compared to his debut season when he scored 17 goals in all competitions, but was preferred to Marcus Rashford in attack for United’s trip to Turf Moor to face Burnley. It is only his eight goal of the season, and his fourth in the Premier League, but it was a superb example of a vintage Manchester United counter attack. Wayne Rooney – making only his second start since December – picked up the ball deep in United’s half and passed it to the Frenchman, who outpaced Joey Barton and dribbled the length of the pitch before exchanging passes with Ander Herrera and poke it past Tom Heaton in goal. It was a goal worthy of the extra £8.5m, and the club will have to pay another instalment of the same amount when Martial wins his 25th cap for France.